SOLD SOLD SOLD! 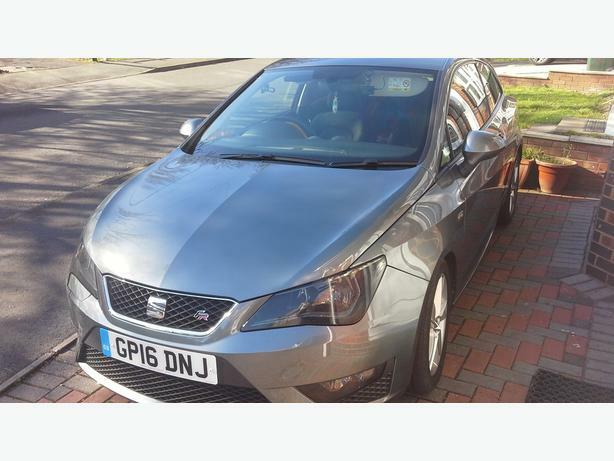 Seat ibiza fr 1.2 tsi model, 3 door sports, grey colour, £30 tax tax, 45mpg, £290 insurance for the year. Cruise control, Built in 6" touch screen infotainment system, traffic details of roads, sat nav, digital dab, built in cd player and sd card reader in glove box, lots of little toys. Hasn't had its first mot yet. Very nippy little car! a category d repaired, only bad point on my car is the front bumper has is cracked a little, £150 to replace. I'm waiting for one which is the same colour. I've had this since last summer, but it's way too small for my kids in back seats. I would consider a px with a Toyota Hiace van. Low price reflects previous cat d. Thankyou. Ps I payed £6250 last summer, so grab yourself a bargain. SOLD! SOLD! SOLD! for £4200! What a bargain!